Malik, Joe, Ahmad, Monk & Otis have called it quits. The last YNQ record, Otis Jackson's solo joint "Jewelz EP" will drop on vinyl in June. In July, the Yesterdays Universe album will feature the next phase in the YNQ universe: 10 new groups produced by Madlib, all of whom will have records released in the next 12 months. 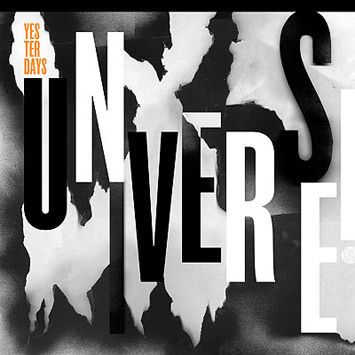 Check out "Free Son" from the Yesterdays Universe album at Stones Throw's page on Uber. Yesterdays Universe drops July 2007, introducing 10 new groups and 15 new tracks. Karriem Riggins & Mamao (Azymuth) on drums. Produced by Madlib. From 2000-2007 Madlib produced and arranged the Yesterdays New Quintet and their affiliate projects, now taking the form of "Yesterdays Universe".